Motorola , after reaching a renowned position in Indian markets had now announced Moto Xpress , that will provide Motorola Customers to repair their Motorola Smartphone or Products at their doorsteps . 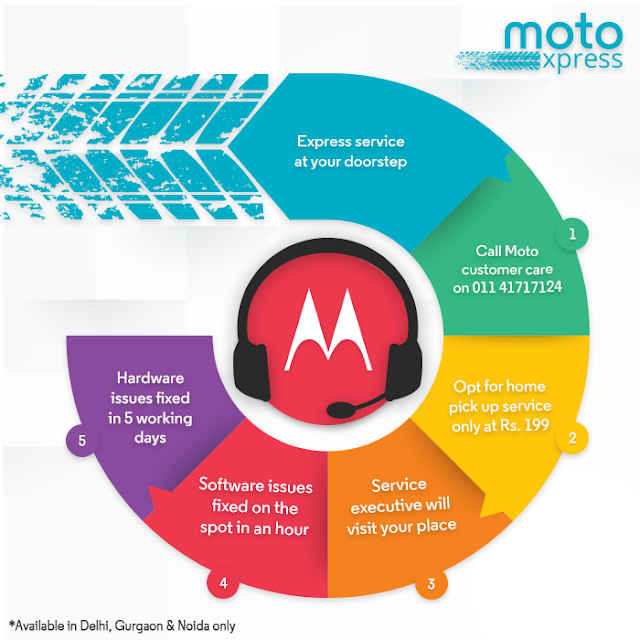 Motorola Moto Xpress is currently only available in Delhi, Gurgaon and Noida . It will be soon coming to more Cities . The Moto Xpress is Home pick and drop service , It will cost only 199 /- for pick up service . The software problem will be solved in an hour ( On the spot ) , while the hardware issue will be resolved withing 5 working days . If you are living in Delhi, Gurgaon or Noida , You can avail this service by Calling to 011- 41717124 ( Motorola Customer care no. ) .